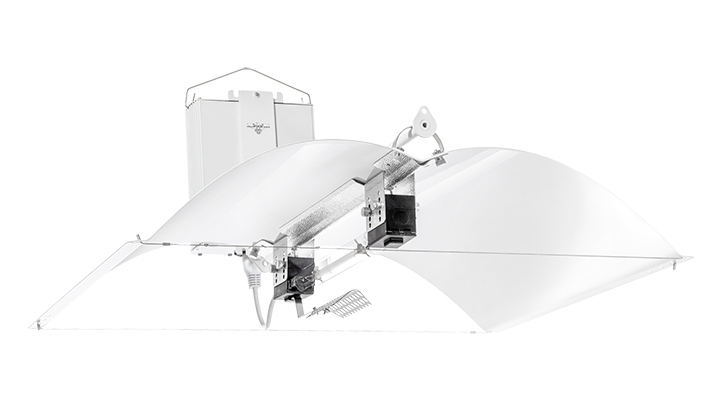 The adjust-A-Wings double-parabolic reflector was invented by lighting specialist and plant guru, Mr. Paul Cronk BSc, in Australia in 1995. Back then, indoor gardening was still in its infancy and the reflectors available at the time were inefficient, angular and crude. Paul’s major brainwave was the ‘double-parabolic’ shape which both dissipates heat from the lamp and produces a beautiful, mathematically uniform light distribution over the plant canopy. Right from their inception, Adjust-A-Wings were designed and built with one task in mind: to provide the best quality, most uniform, canopy-penetrating and plant-friendly light for grow rooms and climate rooms. Unlike some ‘deep-dish’ lighting fixtures which were born in the greenhouse world to supplement sunlight during winter, Adjust-a-Wings are specialty horticultural lighting solutions where they are the sole light source. Generating large amounts of plant-usable photons doesn’t come without significant amounts of associated heat. It doesn’t really matter what style of lighting technology you choose, (DE-HPS, HPS, DE-MH, MH, DE-CMH, LED, LEC, LEP, T5 etc) indoor growers ‘ especially those growing heat-sensitive species”’need to understand how to mitigate the negative effects of excess heat. The unique, patented design of Adjust-A-Wings reflectors, along with the ingenious Super-Spreader heat deflectors mean that growers can safely bring their grow lights much closer to the plant canopy (45 cm for 750W DE-HPS) for deeper penetration into second and third tier flowering sites and a more uniform intense footprint of light’all without the hot spots commonly associated with closer placement. This means more usable light on your plants and much less light loss to walls and floors. This all adds up to significant yield increases compared with less efficient plant lighting systems. Our Philosophy is markedly different from lighting manufacturers who come from the greenhouse world, where fixtures are small (so as to not block out sunlight) and positioned high above the canopy’often five or six feet or more. Adjust-A-Wings are designed for growing applications where they are the sole source of light for plants. As such, it’s imperative that this light is engineered so that it can safely be delivered from close proximity for deep penetration into the canopy. Some grow light technologies just ‘tickle the canopy’ with photons and, while they seem good at stimulating PAR meters, they fall short of delivering plant usable energy deep into the canopy when tested in the real world. Here at Adjust-A-Wings we have always looked to Mother Nature as our guide, seeking to replicate homogenous levels of radiation and leaf temperature throughout the entire plant. The latter is particularly important because it is a primary driver of vapor pressure deficit (VPD) which, in turn, drives water and nutrient uptake, particularly calcium. Ask any experienced grower’the Adjust-a-Wings name is synonymous with high-powered, productive indoor gardens. As soon as they were initially launched in Australia, they became an instant hit worldwide and were picked up by distributors in Switzerland, Holland, UK, Spain and Canada. Adjust-a-Wings products are now sold in more than 40 countries worldwide. Through our trusted network of grass-roots, real-world growers, we have continually developed our products to give production-focused indoor cultivators the best possible results. Our research is conducted with plants, as well as quantum meters. It’s no good measuring super high PPFDs (light intensity) if plants are being cooked with excess radiant heat at the same time and are consequently unable to harvest that light! To date, more than a million Adjust-A-Wings have been sold in more than 40 countries worldwide. Our products have won numerous awards and have been the primary feature in industry leading magazines as well as being championed by key industry professionals. Even in our early days, Adjust A Wings (Defender models) earned the title of World’s best reflector in 1997 after achieving best results in George E Van Pattern’s international reflector trial. The full results were published in George’s groundbreaking book, ‘Gardening Indoors with H.I.D. Lights’. Adjust A Wings (Avenger + Defender models, equal score) took first place in a European reflector contest 2012. 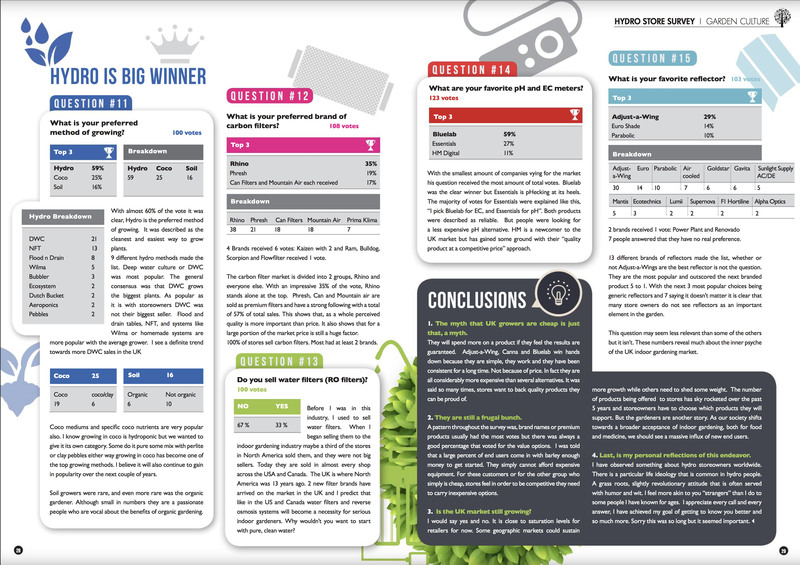 The results published in ‘How To Grow Indoors’ by Mr. Jose. Adjust A Wings (Avenger + Enforcer) were voted the UKs favourite reflectors in 2015. The results published in Garden Culture Magazine. 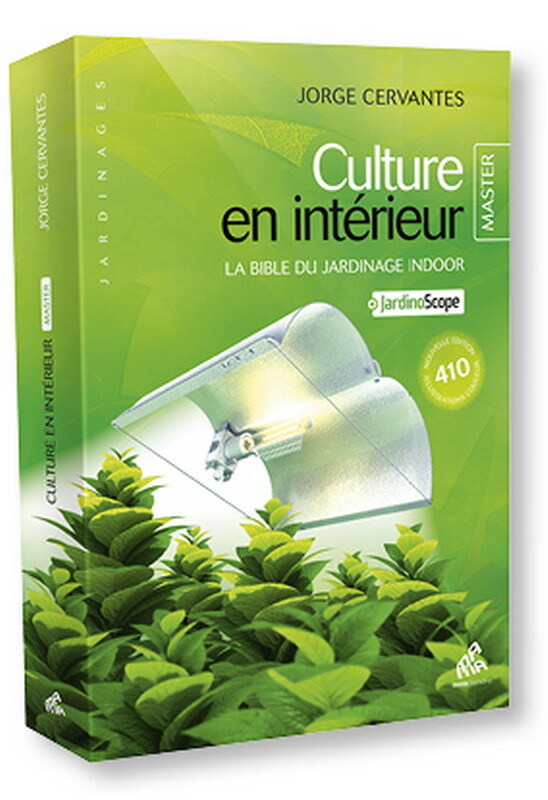 Adjust-A-Wings HELLION Defender + Avenger have featured on the front cover of all 19 editions of George Cervantes book ‘Indoor Growing / Culture en Interieur’. The publishers believe the Adjust-A-Wings to be the best reflectors and lighting system available in the industry.